Universal Transport moved around 100 tons with an eight-axle semi low bed in the Lubusz Voivodship in Poland. The weight was accounted for by an 8-meter-wide bridge section. 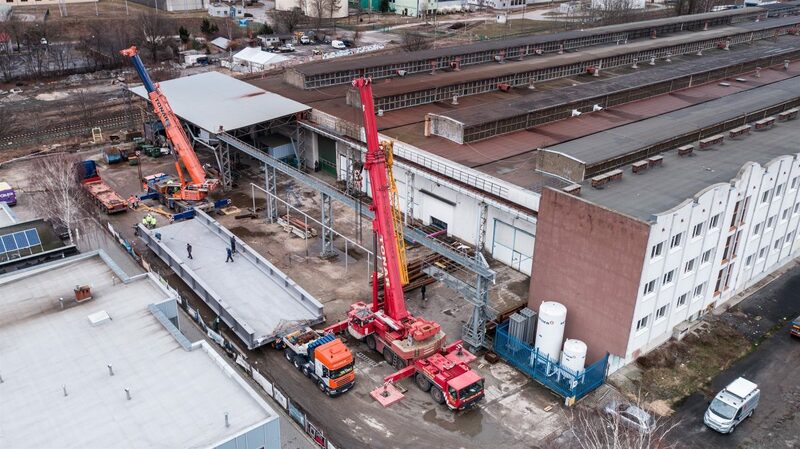 Considering the length of 40 meters, the low loaders were equipped with an extension beam. The route between Zielona Góra, Gorzów Wielkopolski, one of the two capitals of the Lubusz Voivodeship, and the municipality of Cigacice, part of the city and rural community of Sulechów, was planned by UT experts for more than two months. Given the route through the city center, it required exact calculations to complete the transport route without damage.